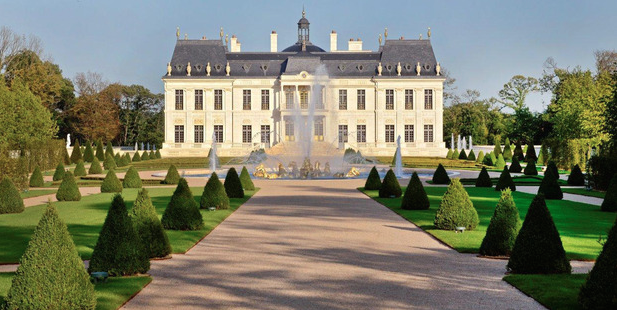 A mansion outside Paris just shattered the record for the world’s most expensive home, selling for 275 million Euros. 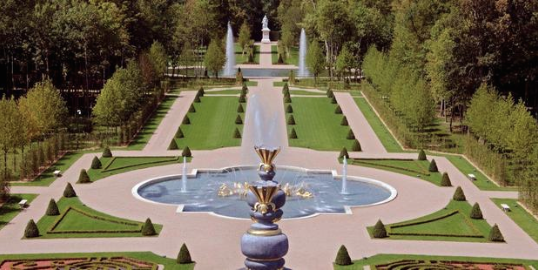 Although it was constructed in 2011, the Château Louis XIV is built in the style of 17th-Century French estates, featuring a gold-leaf fountain, ceilings painted in the style of the Sistine Chapel, and 56 acres of gardens that rival those of Versailles. Although the sale was private, two sources close to the deal report that the unnamed buyer was Middle Eastern. Christie’s International Real Estate was involved with brokering this incredible sale, one of the sources said. 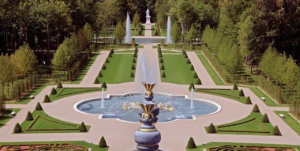 Considered as a wedding venue for Kim Kardashian and Kanye West, the Château Louis XIV boasts both rich old-world aesthetics and cutting edge technology: a cinema, wine cellar, lavish ballroom, underground nightclub, squash room, and an underwater room with fish and sharks swimming in the clear walls. 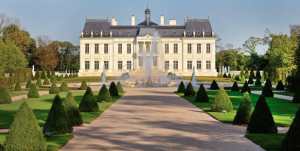 The mansion sits between Versailles and Marly-le-Roi, on the same land where Louis XIV developed a palace in the 18th century. The land was cleared in 1888 and used for agricultural purposes until 2008 when Emad Khashoggi decided to restore it to its regal heritage. The project was coordinated by Cogemad, a French company that develops luxury villas in Europe, Russia, and the Middle East. The construction reportedly took 3 years. The previous record for highest confirmed sales price was $221 million, set when a London penthouse apartment sold in 2011.